To hire our horsebox you are required to pay a security deposit before we can release our vehicle to you. Rather than expect you to pay it immediately when booking our horsebox (maybe for a date some way into the future), you are welcome to pay it as a separate transaction nearer to the hire start date. The deposit must be paid 72 hours before the hire start date for us to accept your booking. The deposit is either £400.00 for hirers between 22 and 24 years old, and £250.00 for hirers 25 years old and above. For full details, please see our Booking Terms. 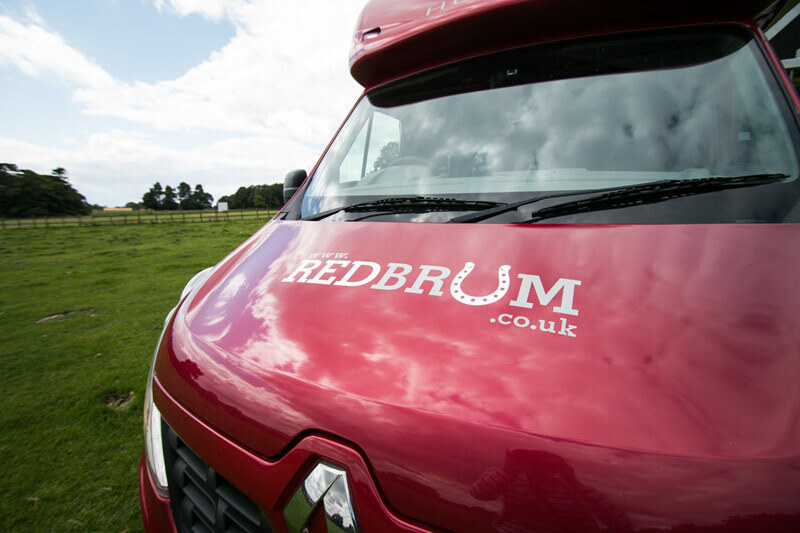 RedBrum horsebox hire is located in South Leicestershire, offering close access to the M1, M6 and M69 motorways. This fantastic access gets you swiftly to almost any UK destination. We look forward to you travelling in safety and comfort in our fully equipped horsebox that comes complete with sat-nav, Bluetooth, stallion partitions and a rear camera to keep an eye on your horses at all times. 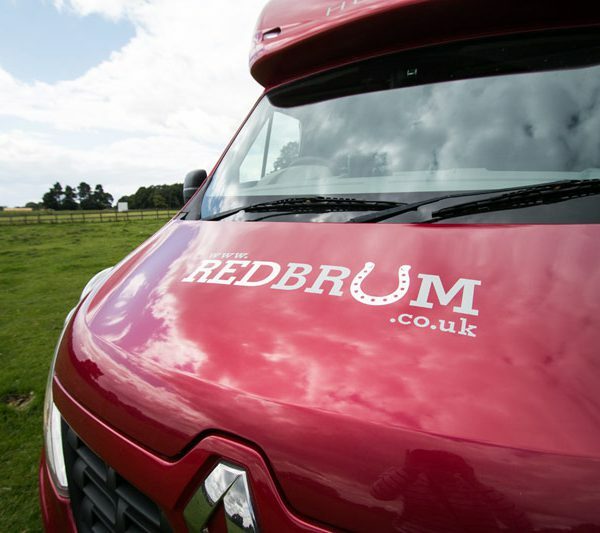 Our aim is to make transporting your horse a pleasure, and we look forward to you taking our horsebox on your journey! For our latest news and offers simply enter your email here to subscribe to RedBrum's bulletins.